Mike Spencer, photographer for the Star News in Wilmington NC, stopped by the First Baptist Church Activity Center last Monday, January 28. 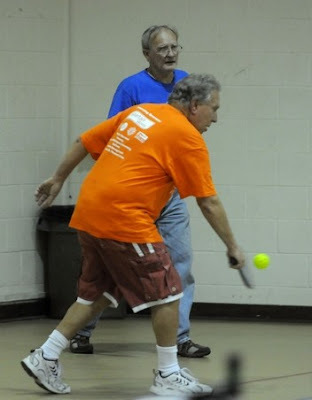 The Activity Center has six indoor pickleball courts and open pickleball every Monday evening from 6-8pm. One of the his pictures appeared with a caption in the Area Calendar section of the paper on Tuesday, January 29. CLICK HERE to see all the pictures in the photo gallery at starnewsonline.com.